Want to regain a sense of wonder this Christmas? Mark Stibbe writes: "This book has been written for anyone who wants to either recapture or capture for the first time the wonder of what this season celebrates." I'd like to propose that this book is a thesaurus, a treasure chest, of twenty years of lovingly accumulated wit and wonder to do with the Christmas story. Someone has said, 'to perceive Christmas through its wrappings becomes more difficult with every year'. Maybe with the help of this book something of the real meaning of Christmas will shine through." Stocking Full of Christmas by Mark Stibbe was published by Lion Hudson in September 2005 and is our 12256th best seller. 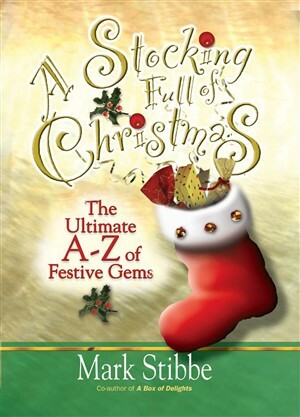 The ISBN for Stocking Full of Christmas is 9781854247230. Be the first to review Stocking Full of Christmas! Got a question? No problem! Just click here to ask us about Stocking Full of Christmas.